THIRTEEN’s American Masters explores fifty years of folk legend and human rights activist Joan Baez in Joan Baez: How Sweet the Sound, airing October 14 on PBS. 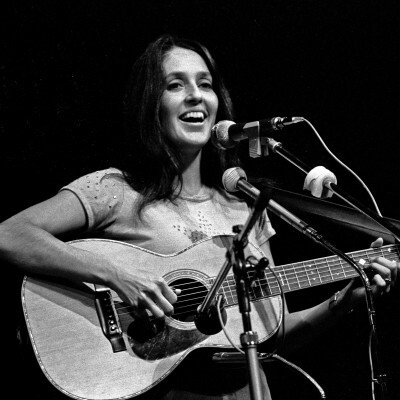 Joan Baez made her debut appearance at the Newport Folk Festival in 1959. Fifty years later she returned to that same Rhode Island stage on August 2, marking her and the festival’s 50th anniversaries. She is presently on a worldwide tour in celebration of her 50 years as a performer and in support of her Grammy-nominated CD, Day After Tomorrow. Related: watch Joan Baez perform her rendition of Pete Seeger’s classic “Where Have All the Flowers Gone” for the crowd at Pete Seeger’s 90th Birthday Celebration at Madison Square Garden, presented by GREAT PERFORMANCES. Joan Baez: How Sweet the Sound is a co-production Razor & Tie Entertainment and THIRTEEN in association with WNET.ORG. The film is produced by Mark Spector and Mary Wharton and directed by Wharton. Susan Lacy is the series creator and executive producer of American Masters. American Masters is produced for PBS by THIRTEEN. To take American Masters beyond the television broadcast and further explore the themes, stories, and personalities of masters past and present, the companion Web site (pbs.org/americanmasters) offers interviews, essays, photographs, outtakes, and other resources. American Masters is made possible by the support of the National Endowment for the Arts and by the Corporation for Public Broadcasting. Additional funding for American Masters is provided by Rosalind P. Walter, The Blanche & Irving Laurie Foundation, Jack Rudin, Rolf and Elizabeth Rosenthal, The André and Elizabeth Kertész Foundation, and public television viewers. Additional funding for Joan Baez: How Sweet the Sound is provided by The Michael & Helen Schaffer Foundation.